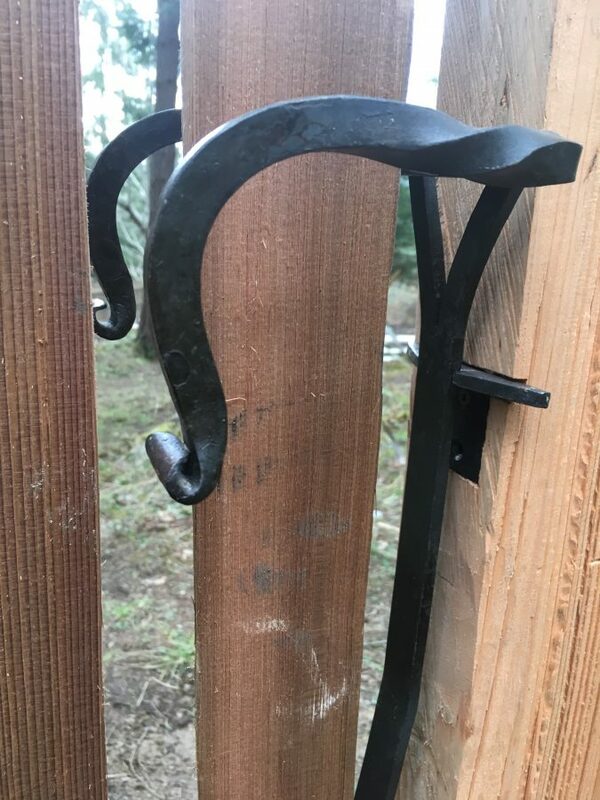 Hand forged by Meska Ironworks, this sprung gate latch has a subtle twist and a small curl at the end of the handle. 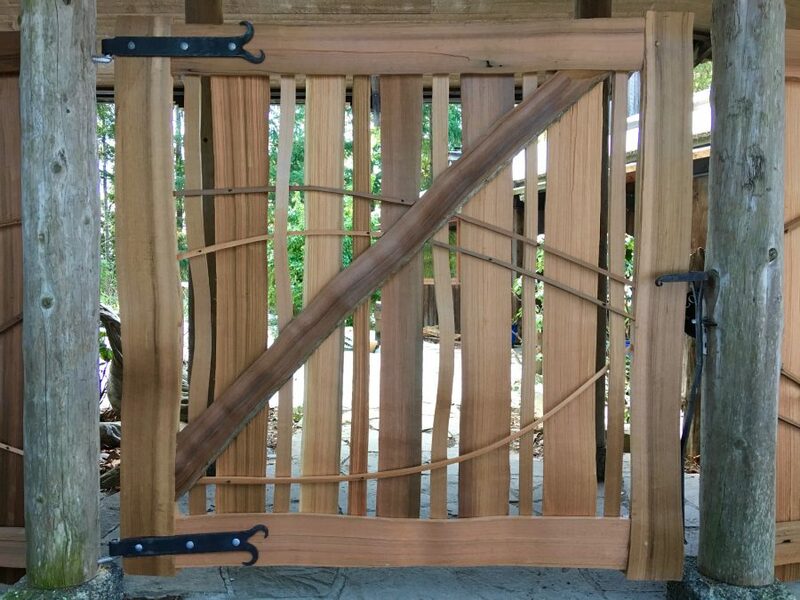 30″ tall, with handles 5″ apart for spacing for 2 1/2″ wide gate. These latches fit best for a 1 1/2 -2″ gap between the post and the gate stile. The catch allows the gate to swing both ways, or it can have a stopper to make the gate open only one direction.